Trying tasty dishes to pamper taste buds and keeping the pounds off- isn’t easy as it may sound. But, thankfully they are many recipes that claim big in the recent studies and research papers. They help individuals, those who are in pursuit of a slim-fit figure by reducing the calorie and sugar intake, and also enhance their metabolism rate. In the morning hustle and bustle, breakfast is the time, when most of us end to grab calorie rich easy snack food like the pasta, donutes with coffee, and the other stuff, which are high in sugar and fat content. A well beginning is half done, so give those morning munchies a miss and give broccoli & feta omelet with toast a go. Let’s cook, firstly, heat a nonstick pan over medium to high flame. Coat the skillet with cooking spray, and now add broccoli, and cook for three to five minutes. Combine dill, feta, and egg in small bowl. After this, put this egg mixture into the pan; again cook for three to four minutes. Flip omelet and cook 2 minutes, until cooked through. Now, your broccoli & feta omelet is ready to be served with toast. Do you know one can burn 300 calories daily by having the right foods? 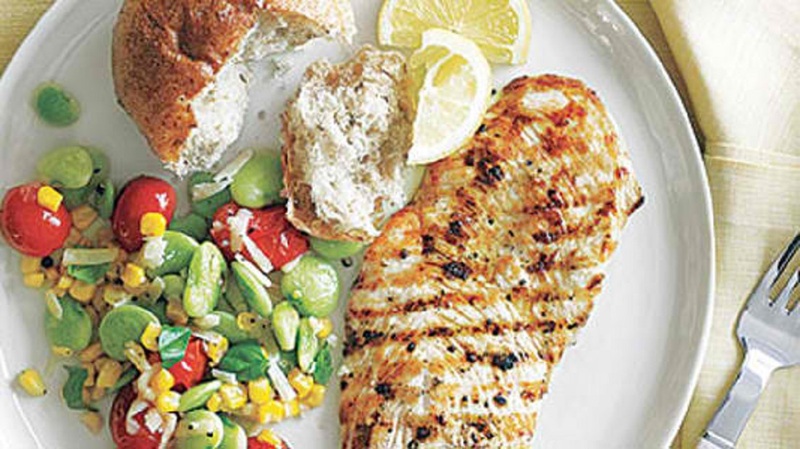 This grilled chicken cutlet with summer succotash recipe is also one of them; it will help you to burn fat and calories, helping you to trim down fast. And the best part, this recipe only takes 5 minutes to be ready for serving! Start by seasoning the chicken pieces with garlic, pepper, salt, and rosemary. Heat a large pan over medium to high flame, add one teaspoon olive oil; swirl to coat the pan. Cook the chicken pieces for 10 minutes, until it becomes a light brownish. Most of us have a sweet tooth, and even more right the supper, but that doesn’t mean you got to compensate on your good health to satisfy your sugar cravings. What about the bananas recipe? All your need is a mild knife, and a microwave- and a desert serving will ready to eat; this recipe will help you to burn calories fast. As an added benefit, the semisweet chocolate desert contains healthy fats to augment your metabolism rate. The preparation job is simple, firstly put the chocolate chips in a zip-top plastic bag, or in a small microwave-safe bowl. 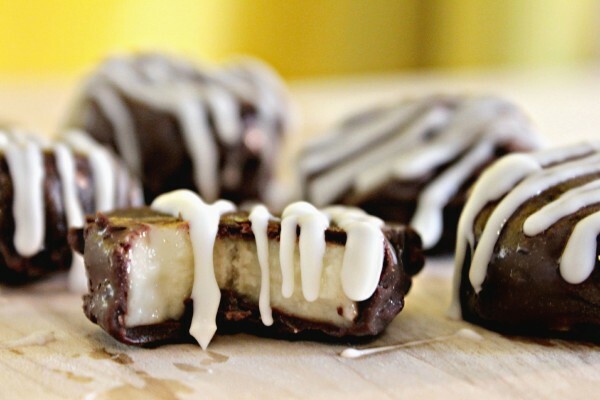 Microwave the chocolate chips for one to two minutes, until it melts. Now, as the dipping is ready, cut the bananas, and have a much you want without worrying about the calorie intake. The above three recipes are not healthy but also won’t take much cooking to reach your dining table.